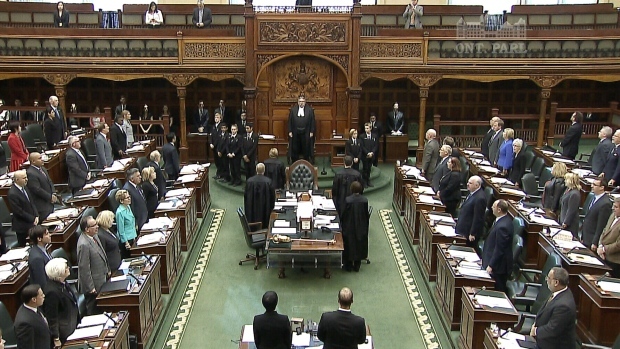 TORONTO -- The Speaker of Ontario's legislature says the "day has come" for a decision on whether Ontarians should be able to electronically submit petitions to government. The issue has been discussed at a government committee since at least 2012, and now, four years later, it has issued a report recommending e-petitions be adopted -- but not without further study. The Liberal-dominated committee says e-petitions have the potential to increase citizen engagement. It recommends the legislature's clerk launch a study to determine the best e-petition model, and look at what it would cost to either design a system or purchase existing software. Speaker Dave Levac says it's now up to the legislature, and not him, whether to move forward on it, but he says it's an appropriate time to look at the issue. The Progressive Conservatives aren't pleased with the report, saying its recommendations would lead to restrictions that don't exist now for paper petitions and an increased cost to taxpayers.